The Supreme Court‘s fall term opens today with a historic first — three women on the bench. On the docket, the 2010-11 term has a broad range of significant challenges including issues involving speech and religion, job discrimination, sentencing, prosecutorial immunity, right to counsel and privacy, among others. 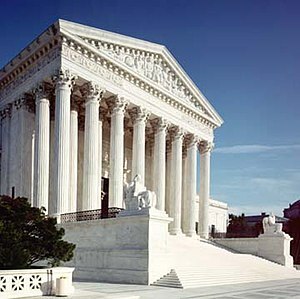 The Court also continues its strong interest in business issues. Nearly half of the 52 cases granted review could be considered business-related. via Law.com – On the High Court’s Fall Docket, Few Blockbusters — but Plenty to Watch.